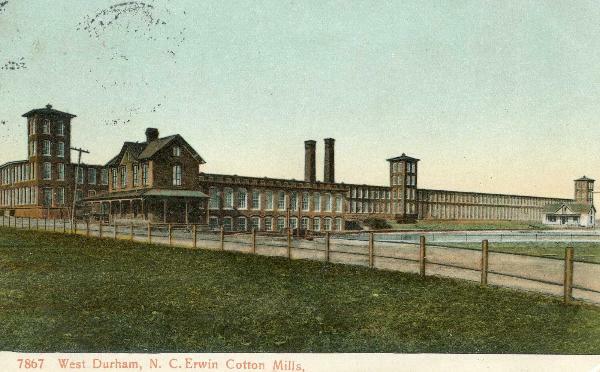 The Erwin Cotton Mills Co. of Durham North Carolina was founded in 1892. 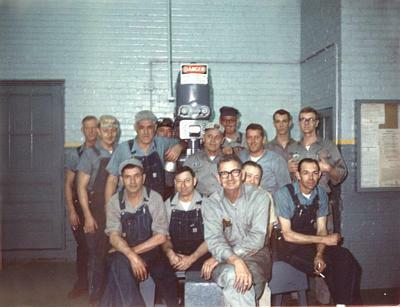 The two-story brick factory included a picker building, dyehouse, boiler room, and engine house. 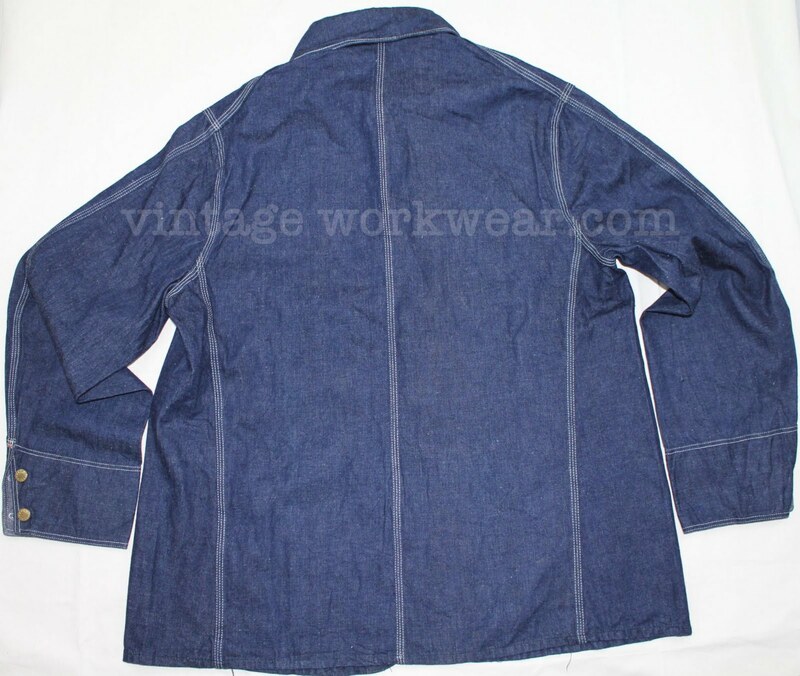 The mills had 11,000 spindles and 360 looms producing a variety of fabrics. Rows of houses were built for the workers. By 1895, some 375 families were living in the mill village. The end of the line for Erwin Mills came in 1986. Erwin Mills Machine Shop circa 1967. 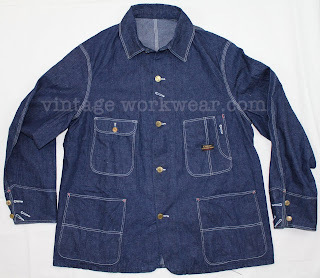 Vintage 1950's era ERWIN Work Jacket / Chore Coat constructed using BLUSERGE SANFORIZED indigo dyed selvedge denim. From The San Fernando Valley Mercantile Co. archive . The SANFORIZED Shrunk process was patented in 1928, and was first used by Erwin Mills in 1936 to make denim for overalls marketed under J.C. Penney’s Big Mac label. 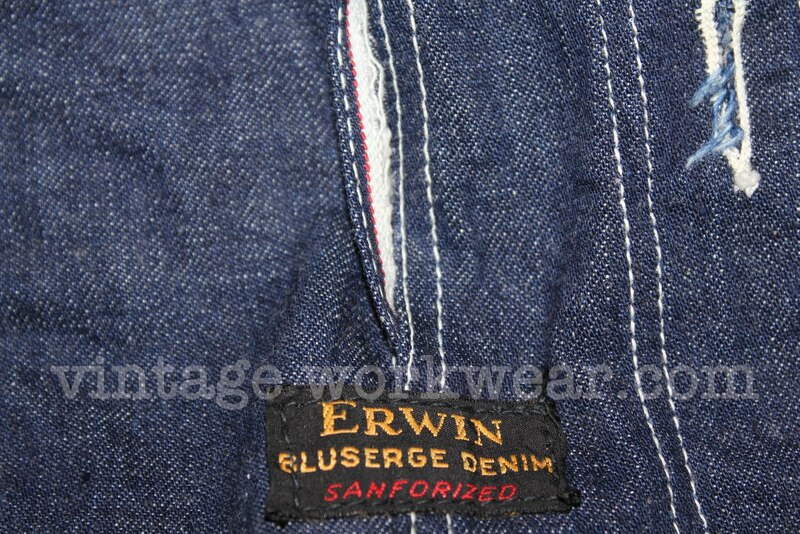 The community of Erwin began with the erection of a cotton mill in 1903. 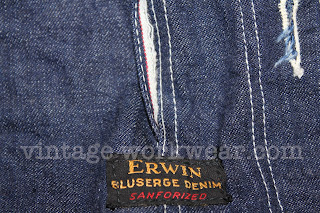 The Erwin Mills Company was formed in 1892 by a group of financiers who included W.A. Erwin and J.B. "Buck" Duke. Construction started in the spring of 1903, and the mill was in full operation by the latter part of 1905. The site had been selected because of the proximity of the Cape Fear River, the proximity of the cotton fields, and the probable supply of adequate labor. 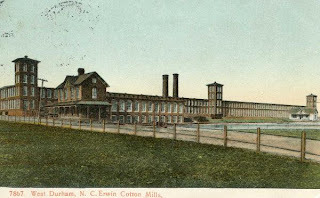 The town which was constructed to house the workers of the mill was originally called Duke, but its name was changed to Erwin in 1926 when Trinity College in Durham became Duke University. 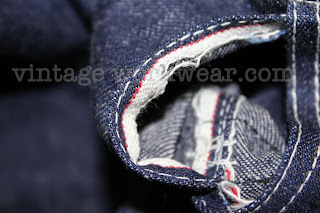 The mill hosted an annual celebration for the mill employees called “Overall Days” and from there the Erwin chamber of commerce started sponsoring a fall festival that is now called “Denim Days”. This festival is held each fall, the first weekend of October. 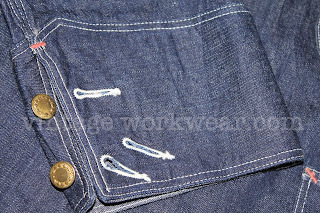 it is unclear to me how this depicts erwin's denim days celebration. i truly hope there is more to it than that shown.